In the heart of Tuscany I found myself sitting in the grass along the side of a dirt road, snacking on prosciutto and bread while enjoying a bottle of wine my host had gifted me upon my arrival. 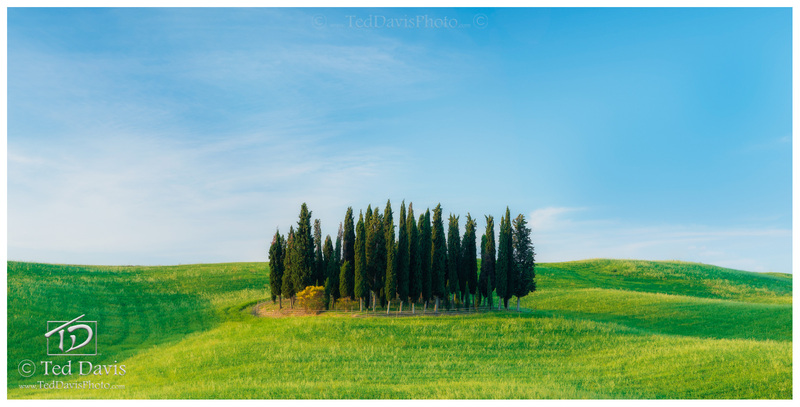 I had just stumbled upon a scene I knew I had to capture – a quintessential image of Tuscany, Italy, and the entire Mediterranean! This was one of those rare times when my imagination just couldn’t match up to the true reality before me. Photo © copyright by Ted Davis.